My title is Homemaker. So ridiculous. 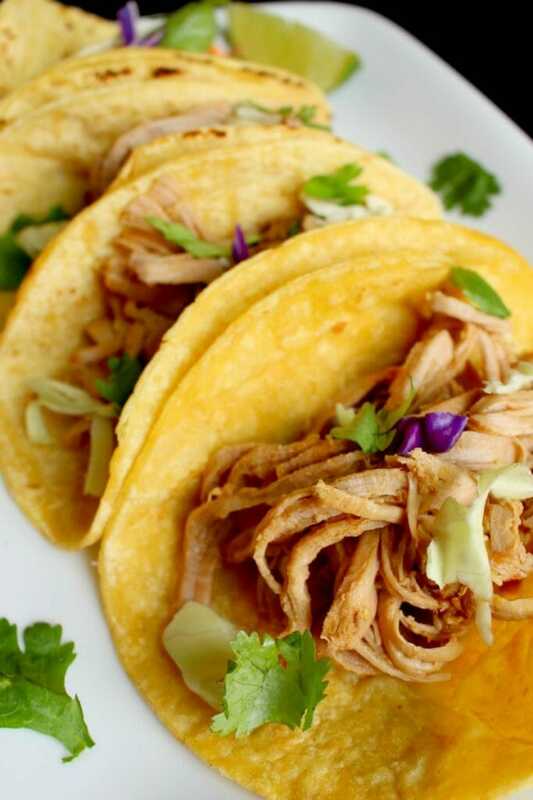 A little bit sweet and a little bit spicy, this Crock Pot Korean Shredded Pork is perfect in a rice bowl, in a tortilla, or on a bun! I love how easy it is to throw together, and since I used pork tenderloin, it’s a great lower calorie dinner idea, or low points if you’re into WW like me. I love recipes that can be used multiple ways, and it’s such a time-saver to be able to make a big batch of shredded meat at the beginning of the week to use multiple ways later. I put it on salads, in tortillas, on buns, over rice, and with pasta. Tonight we’re having (protein) with (vegetable) on (starch). 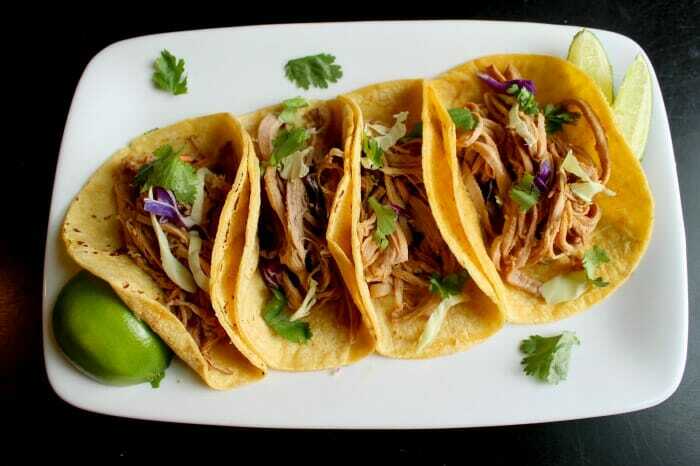 Shredded pork with cabbage on tortillas. Shredded beef with broccoli on rice. Shredded chicken with mixed vegetables on pasta. And when my family gets tired of shredded (fill in the blank), I can freeze it for later or toss it in a soup and it gets a whole new life. This Crock Pot Korean Shredded Pork is one of those versatile recipes that can be easily modified. I’ll bet it’s delicious using chicken or beef, and you can make it spicier with more sriracha or jalapeno. When you’re serving it, use cilantro, shredded cabbage, extra sesame seeds, lime wedges and/or green onions to suit your tastes and give it a little extra something! My husband, our 11 year-old son, and I loved this recipe, and our nine year-old daughter, who leans more vegetarian, ate it without complaint, which is sometimes all I can hope for. I served it in tortillas for two nights, and I planned on serving it in rice bowls the third night, but there weren’t enough leftovers, always a sign of a winning recipe! Combine brown sugar, soy sauce, minced garlic, red onion, sriracha, ginger, rice vinegar, and sesame seeds in a small bowl. Add the pork to slow cooker and cover with sauce. Cook for 7 to 8 hours on LOW or 3 to 4 hours on HIGH. 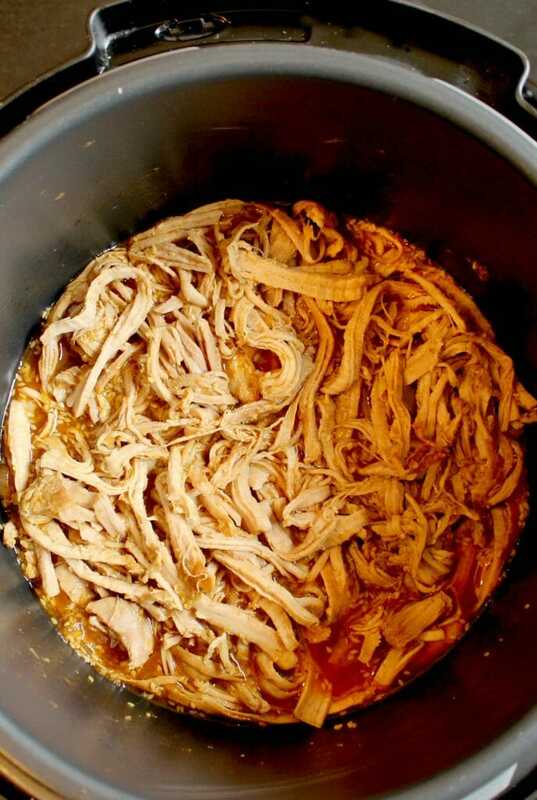 Uncover and shred pork in pot with two forks. Stir, and cook for 30 more minutes with the lid off until sauce thickens up. Serve with optional garnish if desired. We really loved this pulled pork. Kirk was especially glad that it was not chicken! It was just the correct mix of spicy, sweet, savory, and sour. We served it with cilantro and green onion garnishes. We tried it as a sandwich on sweet Hawaiian buns and then in a flour tortilla. Kirk and I liked the taco better, but Bob was a sandwich guy. Both were delicious with a little coleslaw on the side. It was yummy! This turned out amazing! The pork has a great depth of flavor and is really versatile. We went traditional and served street taco style in flour tortillas, along with some bean sprouts, radishes and shredded lettuce. It’s so good that I didn’t have to add any sauce, though kids and hubby added sour cream because that makes everything better, right? I subbed Stevia drops for the brown sugar and I would totally do it again! 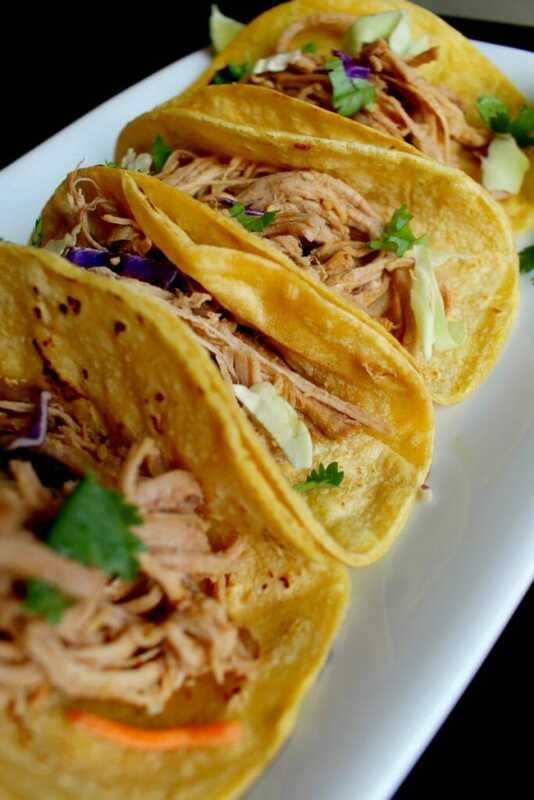 We served our Crock Pot Korean Shredded Pork on warm corn tortillas with various toppings. My kids love building their own tacos, so I put various garnishes in small bowls and everyone dishes themselves up. The flavor was deliciously complex, and my husband and son complimented the meal several times. This recipe is going in the rotation, and I’m totally trying it with chicken and beef soon. 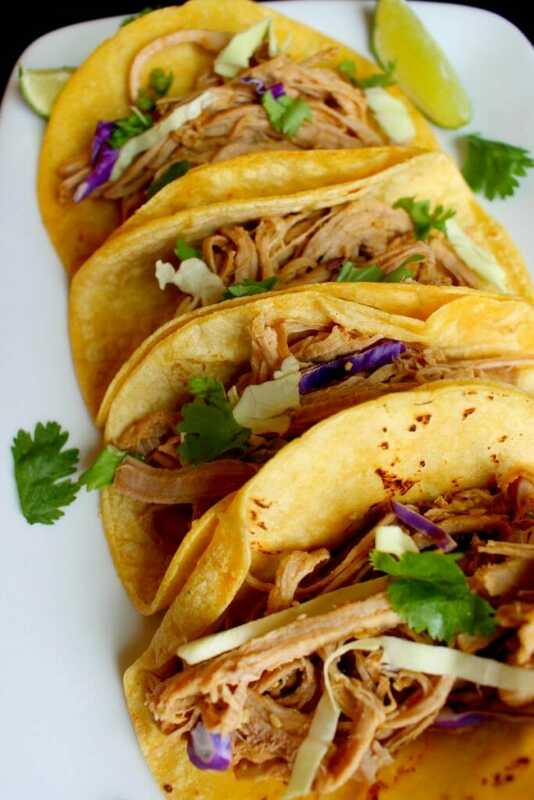 A little bit sweet and a little bit spicy, this Crock Pot Korean Shredded Pork is perfect in a rice bowl, in a tortilla, or on a bun! Hi! 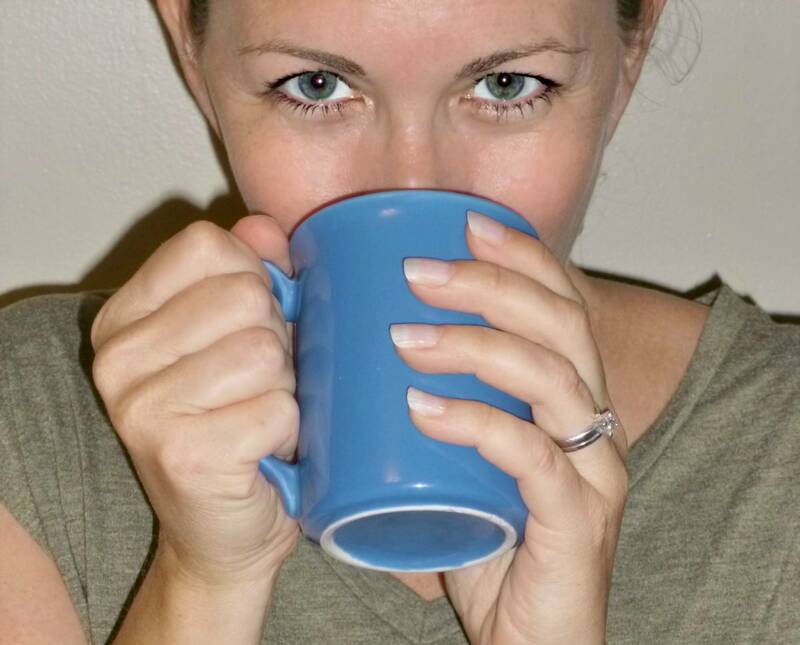 I'm Amy Flory, and I like eating, laughing, and my family, not necessarily in that order. Pull up a chair, and let's have some fun!